Austin to Ft Worth - 2019! Spring Clothing Store is CLOSED. Our FaceBook Group is for tall tales, fun photos, and shout outs. The RidewithGPS club account is where we manage our routes and event descriptions. This Strava club page tracks personal accomplishments. Somebody is watching! 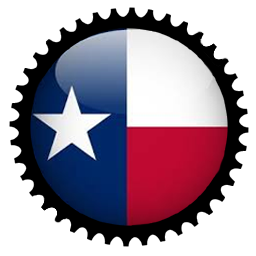 Find any pay ride in Texas! FaceBook, RidewithGPS, and Stava require that you create/have an account with them to access their features. All three accounts are free. GPS Conversion Site. This can be helpful if you are having issues uploading files to RideWGps, Strava, etc.